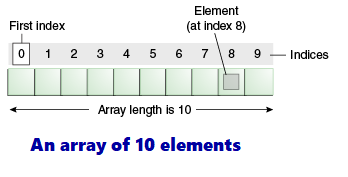 As we know Array is a data structure where we store similar elements and Array a starts from index 0. Size Limit: We can store the only fixed size of elements in the array. It doesn't grow its size at runtime. To solve this problem, collection framework is used in java. An array declaration has two components: the array's type and the array's name. A variable like from above program anArray is variable, the declaration does not actually create an array; it simply tells the compiler that this variable will hold an array of the specified type. Few more examples for declaring an Array. One way to create an array is with the new operator. Above line of code allocates an array with enough memory for 10 integer elements and assigns the array to the anArray variable. Let's create and initialize String Array with few String elements. Let's create and initialize Employee Array with few employee objects. Let's create integer Array, initialize with few elements and access integer Array with indexing. Let's create String Array, initialize with few elements and access String Array with indexing. 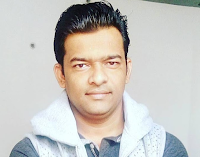 Let's create Employee Array, initialize with few elements and access employee Array with indexing.